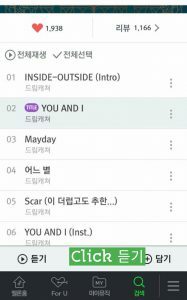 NOTE: Currently, foreigners/those without a Korean phone number cannot register for a new Melon account. 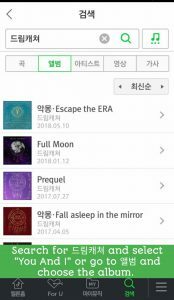 If you already have one, you're good to go but will require purchasing a Melon pass through places like @allinonekpop on Twitter, otherwise, you may be asked for a phone number. Tap on the desired song and then tap on 듣기 (Play) at the very bottom of the screen. 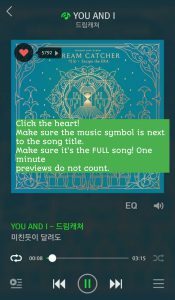 In order to stream correctly, the music note must be displayed next to the song title. If you downloaded the song, you may see an MP3 symbol next to the song title. This WILL NOT count! Streams are counted once per hour, so we highly recommend creating an hour-long playlist and have it on loop. We will guide you through the process of a creating a playlist in the next tutorial.